Last month Hurco hosted a joint one-day seminar with Sandvik Coromant USA, where both companies discussed five axis machining, live tool turning, greenlight machining, and presented some very useful insight in regards to cutting tool technology. We invited customers from the surrounding areas to spend the day with us, learning about how the advancing technology in 5-axis machining and cutting tools could benefit their shops, and how it might impact thier bottom line! 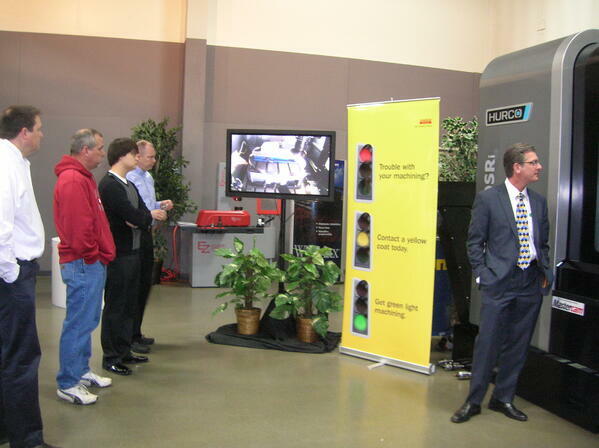 Hurco and Sandvik had applications engineers onsite who gave a number of presentations about serveral different topics. One of those topics was 5-axis tooling considerations, and Sandvik presented five suggested things to consider when tooling up your 5-axis machine tool. Scroll down to see a list of those considerations. To learn more about what Hurco has to share about 5-axis technology, and how it might help your shop become more productive, please visit our website at: www.hurco.com. You can also download the Return on Investment (ROI) worksheet by clicking on the link at the bottom of this post. Even the most carefully maintained machines eventually become obsolete. When it’s time to replace your older machine, look for one that gives you the maximum dollar value for your investment. Five-axis machines are versatile, efficient and flexible and one machine pad can do the work of two or three machines. Here are five things to consider when tooling up a new machine. Update your tooling assortment with improved insert grades to yield better tool life and better results than older tools. Investing in the latest grades and materials will help you achieve greater economies and efficiencies. Reduce your tool inventory with an ISO certified quick-change holding system. Minimize the number of different holders in your inventory with a solution like Coromant Capto. This one holding system can be used for milling, drilling and turning and with over 5500 integrated Coromant Capto cutting heads and adapters, you will never need another system. Optimize chip control through high-pressure coolant (HPC). In operations where coolant is needed, HPC yields better chip formation and evacuation. With a short-chipping result, you get better efficiency from the action of the hydraulic wedge formed by the directed pressure of the coolant and more out of your inserts as the stress on the insert is reduced. Longer tool life plus better chip control equals a more efficient and profitable process. The new Hurco VMX machining centers and TMX turning centers easily accommodate HPC. Budget tooling into your capital expense to get all of the tax advantages from your new investment on the financial side. Talk to your financial team and your machine tool dealer/builder for a tooling certificate and more information. 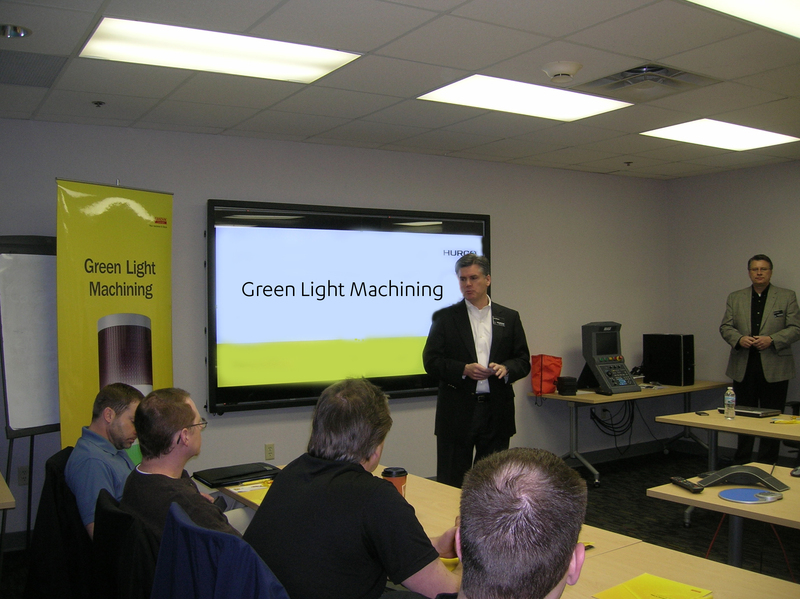 Get the proper education to get the most out of your new machines and new tooling. Seek out programs available in schools, use online resources such as www.metalcuttingknowledge.com and at your machine tool builder to train your production people so that everyone gets the maximum value.